Mod in the media / Re: No really "mod" but a great photie aw the same. If you are down the quayside area try the Crown Posada (bottom of Dean Street on right) - amazing victorian interior great beers, music via a turntable playing old vinyl (details online). Also, further down river by the Ouseburn, the Free Trade Inn - fantastic selection of beers, pub cat and amazing views of the Tyne (details also online). General music chat / Re: What Are You Currently Listening To? Goat "World Music" - Swedish freak out psychedelia with Afro rhythms. Far out man!! Cheers Doc! Will definitely give them a listen. 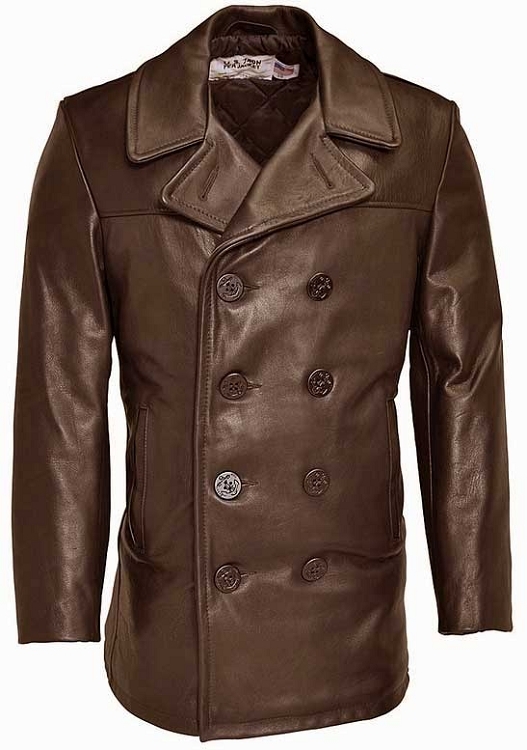 It's a peacoat by Schott in leather. It looks less pimpesque on and can be worn with smart strides or jeans. Well pleased with it even though I got burned for import duty on delivery. Ooooh! I like this thread, I've been buying vinyl for the last 30 years. Have you got "Scientist wins the World Cup"? - incredible basslines. Out at the end of the month: "The Best Of Cerrone Productions" - Overlooked disco era contempory of Giorgio Moroder. Complete with period sexploitational sleeve!! Splashed out on on of these in brown leather. Superb quality & perfect fit (size down - a 34 fits a 38 chest). Banter / Re: Fat Mods. Ah Jean Gabin! I claim the 1000 Francs ! !